Learn to speak like a native - Arabic, Catalan, Chinese, Dutch, English, French, German, Italian, Japanese, Lithuanian, Portuguese, Russian, Spanish, Swedish. LANGUAGE AMBASSADORS WANTED WORLDWIDE - extra income from home or office, full-time or part-time. Do you know that the Eurolingua Institute SA (EISA), founded in 1993, will pay you a substantial finders fee/commission for introducing an international student/client who attends a Eurolingua One-to-One Language Homestay Immersion programme? Programmes are available worldwide in countries where the national language is Arabic, English, French, German, Italian, Portuguese, Russian, or Spanish. EUROLINGUA LANGUAGE HOMESTAY IMMERSION PROGRAMMES ABROAD - Arabic, English, French, German, Italian, Portuguese, Russian, Spanish. Are you a discerning language learner looking for one-to-one immersion 24/7 in any of your target languages? 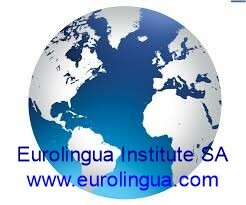 Eurolingua Institute SA www.eurolingua.com. Travel theme. Powered by Blogger.